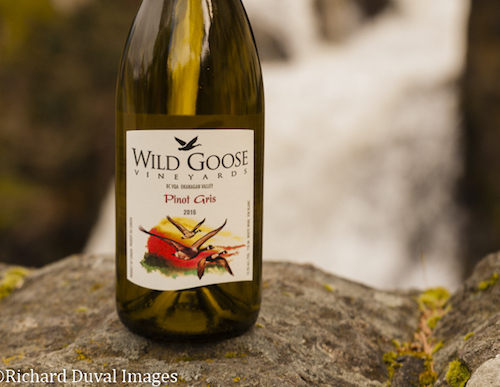 The Wild Goose Vineyards 2016 Pinot Gris won top honors at the fifth annual Cascadia Wine Competition at the Columbia Gorge Hotel in Hood River, Ore. Wild Goose is in Okanagan Falls, British Columbia. HOOD RIVER, Ore. — Last year’s harvest at Wild Goose Vineyards will forever be remembered as Adolf Kruger’s final vintage, and the 2016 Pinot Gris produced by his sons and grandsons in British Columbia’s Okanagan Valley won best of show at the international Cascadia Wine Competition. In 1990, Hagen’s father, affectionately known as “Fritz,” made Wild Goose the 18th licensed winery in the province. One of the founding directors of the BC Wine Institute, Kruger died of cancer Nov. 20 at the age of 85. The Wild Goose 2016 Pinot Gris earned best of class and best white wine on its way to topping the field of 948 wines at the fifth annual Cascadia Wine Competition. The Kruger family’s winery has ranked among the top wineries in the Pacific Northwest for more than a decade. In 2009, Wild Goose was named Pacific Northwest Winery of the Year by Wine Press Northwest magazine. Five years later, its 2012 God’s Mountain Vineyard Riesling took best of show at the Great Northwest Invitational Wine Competition. This week, the nationwide panel of 21 judges awarded eight gold medals to Wild Goose wines. Among those were three best of class awards and four double gold medals, a list that included the 2015 Red Horizon Meritage, a Right Bank Bordeaux style blend, as well as the 2016 God’s Mountain Riesling. It was a remarkable showing for the BC wine industry, which amassed 45 gold medals, a record total from a record 129 entries. 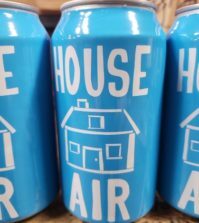 Fortunately for U.S. consumers, the Krugers have lined up a distributor to bring some Wild Goose wines to the market, starting in California. The family plans to meet April 10 with its representative to decide which wines to bring into the U.S. Hagen’s brother Roland said the hope is that some of their award-winning wines will be available in Washington and Oregon by summer. 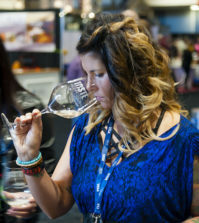 This year’s Cascadia Wine Competition included judges from Washington, Oregon, Idaho and British Columbia as well as Sheri Sauter Morano, a Master of Wine from North Carolina, and New Orleans broadcaster/journalist Tim McNally. The panel awarded gold medals at a rate of 24 percent for the Cascadia, a record clip for the five-year-old event, and this marked the first time that a Walla Walla winery did not win best of show. However, it nearly happened again. 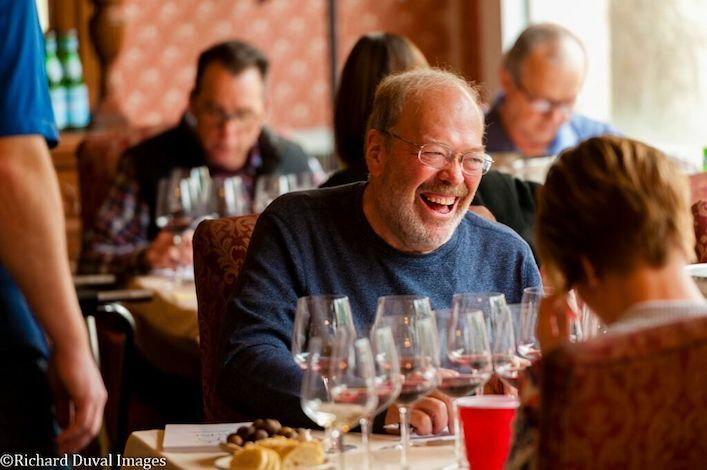 Walla Walla winemaker Richard Funk and his Saviah Cellars 2015 The Jack Syrah took the title of best red and the Bob Woehler Award for best Washington wine. It came up just short of the Wild Goose 2016 Pinot Gris in the final round of acclamation voting. Van Duzer Vineyards in the Willamette Valley merited the Cole Danehower Award for the best Oregon wine with its 2014 Westside Blocks Estate Pinot Noir. Long Shadows Vintners, another Walla Walla Valley producer, took the award of best rosé for its 2016 Julia’s Dazzle, a delicious and delicately tinted wine made from Pinot Gris. Coiled Wines in the Snake River Valley won best Idaho wine and best sparkling wine for its 2015 Rizza, Leslie Preston’s delightfully crystalline Riesling project. 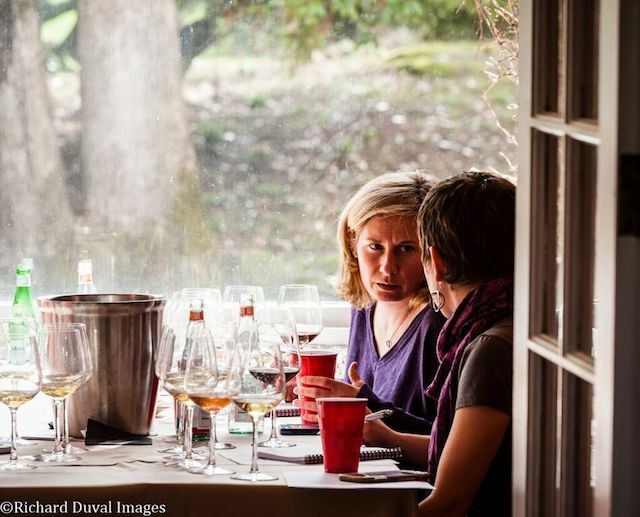 Columbia Gorge destination Maryhill Winery hauled in 13 gold medals, a versatile performance by winemaker Richard Batchelor that included work with Albariño, Barbera Cinsault, Grenache, Mourvèdre and two styles of Sangiovese. Hood River native Rich Cushman, whose own Viento Wines tasting room is less than 300 yards from the Columbia Gorge Hotel, shined all week. Mt. 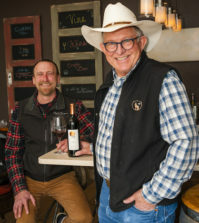 Hood Winery, a brand that he helped earn the award for Oregon Winery of the Year in 2016 from Wine Press Northwest, logged seven gold medals, including best-of-class honors for Barbera and Grenache. Stave & Stone Wine Estates, a young brand Cushman also makes wine for, picked up three gold medals. Gehringer Brothers on the Golden Mile Bench in the Okanagan Valley generated seven gold medals. Wine Press Northwest’s “King of the Platinum” qualified for the 2017 “Best of the Best” judging six times with its work for fresh aromatic whites from the 2016 vintage. Idaho winemaker Melanie Krause, a product of Ste. Michelle Wine Estates, earned four gold medals during the three-day judging. She won three double golds for her own Cinder Wines brand and one for her work on the red program for Huston Vineyards. The Riesling Rendezvous attendee captured best of class for her Cinder 2016 Off-Dry Riesling. Heidi Noble and her JoieFarm Winery on the Naramata Bench near Penticton, BC, displayed high quality and diversity with five gold medals, which included Pinot Noir, Gamay, Riesling and sparkling wine. Tightrope Winery, another Naramata Bench producer, notched five gold medals. It was the third straight year for winemaker Lyndsay O’Rourke to record at least five gold medals for work she entered into the Cascadia. Rob Griffin, the dean of Washington winemakers, captured four gold medals. The Richland producer affirmed his status as one of the Northwest’s top producers of Cabernet Sauvignon by earning a double gold for his 2011 Reserve Cabernet and gold medal for his 2014 Cab. Master blender Brian Carter, another historic producer in Woodinville, merited five gold medals for red blends, led by a best of class for his Grenache-based 2013 Byzance. Ron Bunnell of Bunnell Family Cellar in Prosser, Wash., won three gold medals, including for Rhône varieties Syrah and Viognier. Avennia in Woodinville, Wash. won three gold medals for red wine, two of them double gold. Goose Ridge Vineyards in Richland used red wines from the 2012 vintage to achieve three gold medals. Yakima Valley cult producer Côte Bonneville showed the diversity of its DuBrul Vineyard in the Rattlesnake Hills with gold medals for Riesling, Syrah and Cab-based Carriage House Red Blend. The Walla Walla Valley’s iconic little schoolhouse, L’Ecole No. 41, earned three gold medals, including a double gold for its stylish Pepper Bridge Vineyard Apogee Red Wine. Sinclair Estate Vineyards in Walla Walla, Stottle Winery in Lacey and Tsillan Cellars in Chelan each picked up three gold medals. 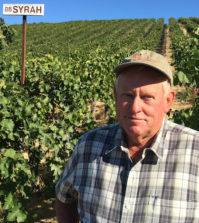 Quady North, operated in Southern Oregon by second-generation winemaker Herb Quady, won gold medals for rosé, a Rhône white blend, and a Cab Franc-based blend. Vine 46, a young producer on the Idaho side of the Lewis-Clark Valley, chalked up three gold medals for red wine. Walla Walla Vintners, Wine Press Northwest’s 2016 Pacific Northwest Winery of the Year, earned three gold medals. Westport Winery Garden Resort near Washington’s Grays Harbor claimed three gold medals, including one for its work with sparkling Gewürztraminer. Reustle-Prayer Rock Vineyards in Southern Oregon, the reigning Pacific Northwest Winery of the Year for Wine Press Northwest, received double gold medals for Grüner Veltliner and Sauvignon Blanc, the latter was best of class.